The House Oversight and Government Reform Committee on July 12 advanced the Postal Service Reform Act of 2016 (H.R. 5714), a bipartisan bill introduced by leaders of the committee. While this legislation is not perfect and contains unacceptable reductions in door delivery, NALC appreciates the committee’s dedication to working together and with stakeholders in a bipartisan manner to restore financial stability to this vitally important agency. Today’s committee action on this House bill is step one in a very long process for Congress. As the bill is currently drafted, we would oppose its final passage. But there will be plenty of opportunity to address the deficiencies in this bill. In particular, we believe that stakeholders will come to see how detrimental the door delivery cuts contained in the bill would be for this agency and for businesses around the country that depend on a strong Postal Service network. In fact, more than 200 House members agree with us, having co-sponsored a bipartisan House resolution (H. Res. 28) calling for the preservation of door delivery. As the legislative process moves forward, we will seek other improvements in the bill as well. NALC and the strong coalition of postal unions, industry stakeholders and the Postal Service are committed to working with committee leadership to reach consensus on legislation that we all can support. SPRINGFIELD, Mo. 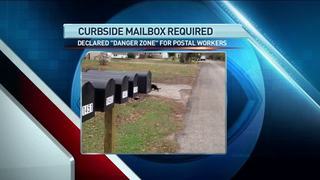 — The local post office has, in effect, declared a six-block area of Springfield a Danger Zone for letter carriers. The concern is that dogs roam the residential streets. As a result, about 100 residents on East McGee, East Lindberg and East Whiteside have had to install new curbside mailboxes. The post office warned them: No curbside mailbox, no home delivery. Some see it as an overly broad response to a problem they’re not sure exists. The resolution will be identical to H.Res. 711, which was introduced last August during the 113th Congress and which ended up with 75 sponsors from both parties. In the 113th Congress, proposals to cut mail services such as door delivery were common. The NALC and our allies in Congress and among postal stakeholders have been instrumental in the so-far successful fight against these and other service cuts that, if implemented, would be detrimental to postal customers, especially to senior citizens (who rely on prescription medications being delivered to their door) and to disabled customers. Note: Although the resolution has not been assigned a number yet, Rep. Davis, Joyce and King already have begun collecting co-sponsors. via Door delivery resolution reintroduced in House | National Association of Letter Carriers AFL-CIO. OTTAWA, Oct. 6, 2014 /CNW/ – The union representing postal workers strongly condemns a move by the private company "You Have Mail," accusing it of exploiting the recent Canada Post decision to end door-to-door delivery for over five million Canadian households by offering to pick up mail and deliver it to the door – for a fee, of course. "The Harper government is trying to kill Canada’s postal service and the vultures are circling," said Denis Lemelin, National President of the Canadian Union of Postal Workers. "Canada Post is mandated to be financially self-sufficient and has been so for most of the past two decades. In fact, last quarter, it reported a profit. So why should Canadians have to pay $20 or $30 or $60 to have their mail delivered to the door?" The union has been pushing for expanded services such as postal banking to address the decline in traditional mail. "Privatization is not the solution," said Lemelin. "Mail delivery must remain a public service, not a for-profit business." Read more: Canadian Union of Postal Workers | CUPW Condemns "Vultures Circling" Over End of Home Mail Delivery. A new privately owned company called You Have Mail is preparing to fill the niche of home delivery once Canada Post stops delivering mail to individual homes. “Continue to receive your mail at home,” promises the website of the Canadian upstart. "We know that with busy schedules, retrieving mail is the last thing you want to worry about, and we can help." 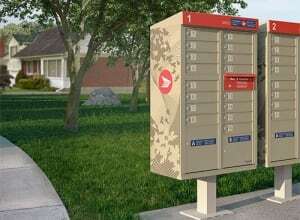 The company will start its service on Oct. 20 — the same day several urban communities start losing door delivery, as per Canada Post’s five-year transition plan. With You Have Mail, you can pay $20 to have mail delivered twice a week (Monday and Wednesday), or $30 for three deliveries per week. Read more: You Have Mail a for-profit alternative to Canada Post home delivery – Montreal – CBC News. In an effort to save money, the U.S. Postal Service could close the door on one form of delivery, but one Rockford letter carrier asks, at what cost to workers and customers? “It’s just another bad idea from the Postal Service to eliminate door-to-door and put the boxes at the end of the street where the customers would have to walk a block or two down to get their mail.” -says National Association of Letter Carriers Branch 245 President Kelly Pruka. “It hurts the American public, it’s their service that’s being cut out, it’s the postal service business, small businesses, rural people, it’s going to hurt everyone.” -Pruka explains. Read more: Rockford letter carrier reacts to U.S.P.S. possibly eliminating – WREX.com – Rockford’s News Leader.